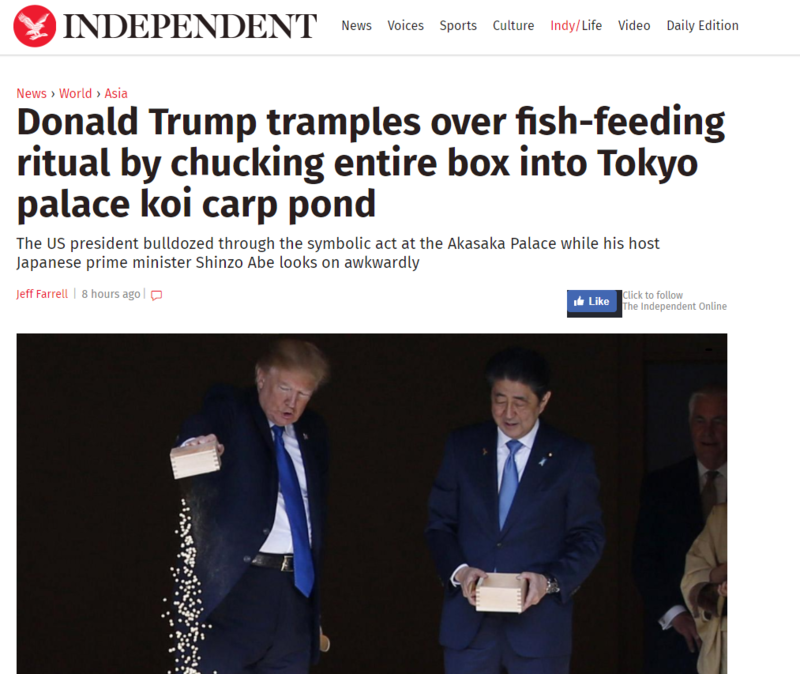 An endless list of fake news media outlets and blue check mark "journalists" attacked President Donald Trump on Monday morning for "overfeeding" fish at a koi pond while standing next to Japanese Prime Minister Shinzo Abe. 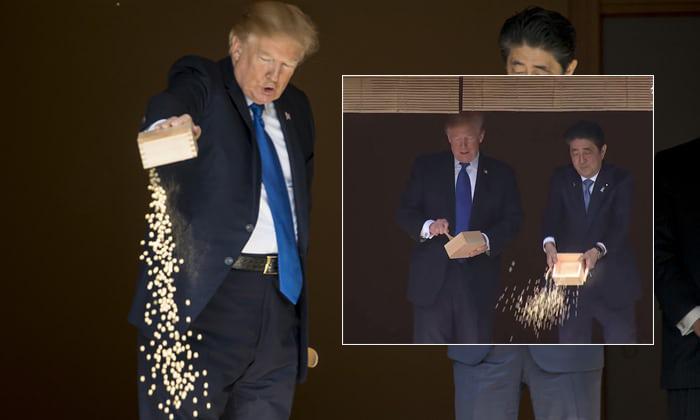 They ignored the fact Abe did the exact same thing seconds before Trump did and Trump was merely copying his behavior. 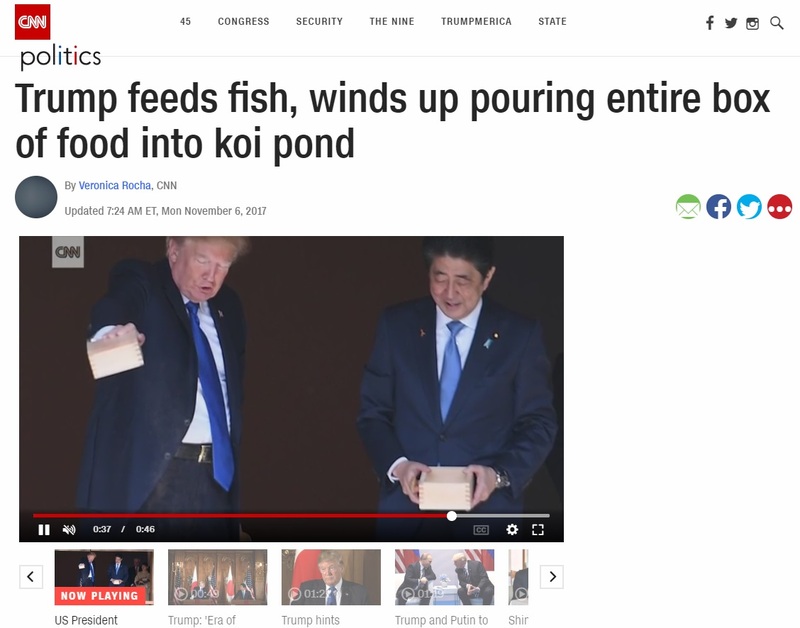 Hours after this was proven to be a lie, CNN still ran with it on Monday morning. 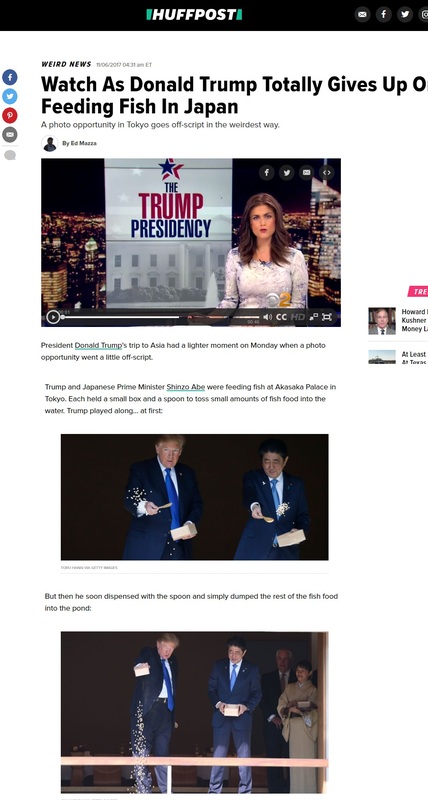 They even released this cropped video where they zoom in on Trump just so Abe can't be seen dumping his fish food right before. 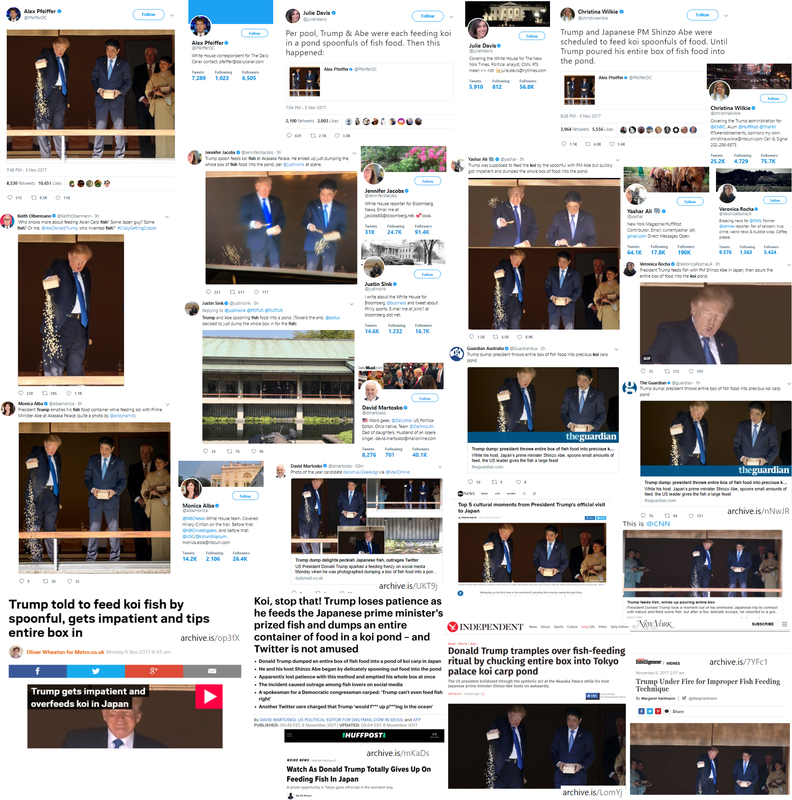 This is the type of pure propaganda our fake news media manufactures every day.